San Cristobal Island is the second easternmost island in the archipelago, also known as Chatham. 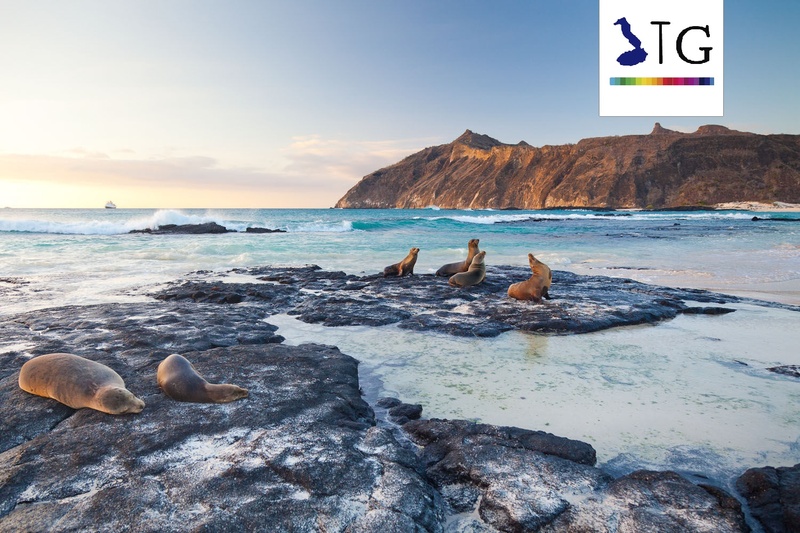 It is the capital of the province of Galapagos, Puerto Baquerizo Moreno, located southwest of the island. Here we find the administration offices and the best shipping port; as one of the two airports on the Galapagos Islands. San Cristobal has hotels infrastructures, restaurants and suitable to enjoy a relaxing trip bars in the middle of a natural paradise, a place where wild inhospitable places of volcanic rocks with seabeds of extraordinary beauty. San Cristobal has a total area of ​​55,800 hectares or 558 km2, of which 85% is National Park area and the rest belongs to the urban and rural areas. His name is in honor of Christopher Columbus. It is one of the five inhabited islands of the archipelago, ranking second in human population after Santa Cruz. Also one of the oldest in the geological formation. It has beautiful white beaches and coral conchilla, whose blue waters much of the wonderful species that dwell in the archipelago is discovered. Large colorful birds and sea lions are found in almost everywhere in this island. San Cristobal has become famous for its big waves. Here it is possible to make surfing and diving.